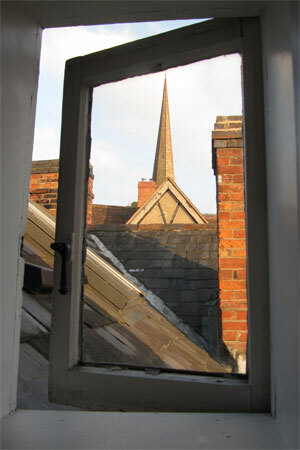 Ledbury is a beautiful historic town in Herefordshire that plays host to a fabulous poetry festival each year (where I myself have performed). But the Ledbury Poetry Festival is far from being a once-a-year flash in the pan. It works throughout the year to promote poetry amongst people across the age range. And as part of this work, I had the great good fortune to be invited back to Ledbury last week to work in a couple of local schools. I very much enjoyed my visits to Cradley Primary School and Bromesberrow Primary School, where I was welcomed warmly by the staff and pupils. There are also some talented naturalists. When I got to the ladybird section of my Buzzing! 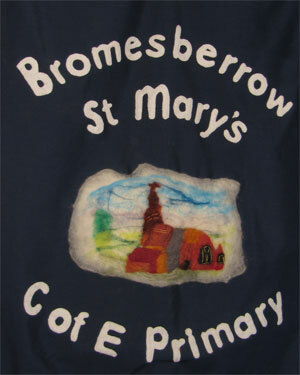 show, for instance, the pupils at Bromesberrow told me they had a whole crowd of ladybirds in the very room I was performing in. 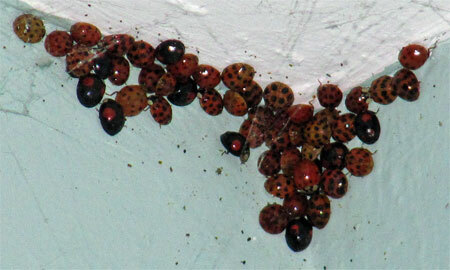 So, I went to have a look, and lo and behold it was a cluster of Harlequin ladybirds. I had heard of Harlequin ladybirds massing like this, but I’d never actually seen them doing so. 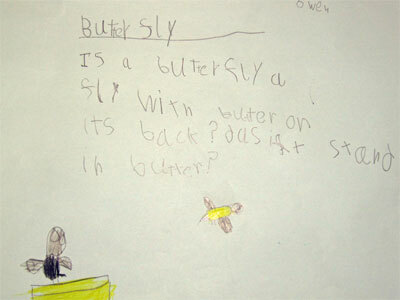 They provided a very useful springboard into our beetle poetry writing. But I’m not sure I’d like a whole host of them in my house! I’m letting the Harlequin Ladybird Survey know about this sighting. If you see Harlequins where you are, do tell the survey. I’d like to say a big thank you to everyone involved in my Herefordshire adventure, including the wonderful Fran Godfrey, who ferried me through beautiful countryside to the right schools at the right time, Victoria Patch and Chloe Garner of Ledbury Poetry Festival, and Alan who allowed us to stay in his beautiful house.